”You will die a lot in this game” promises Tenbirds Corp., a development studio heavily inspired by the Gothic world of Bloodborne and the brutal difficulty of Dark Souls. Ire: Blood Memory [Free] is a killer combination of RPG and Strategy where you feel abandoned, thrilled and excited all at once. Nothing sets the melancholic scene better than the upsetting impaled and beheaded corpses that flood your screen. Truly, a visually demanding game with addictive gameplay and mysterious glamour – all which have given this game the attention that it deserves. 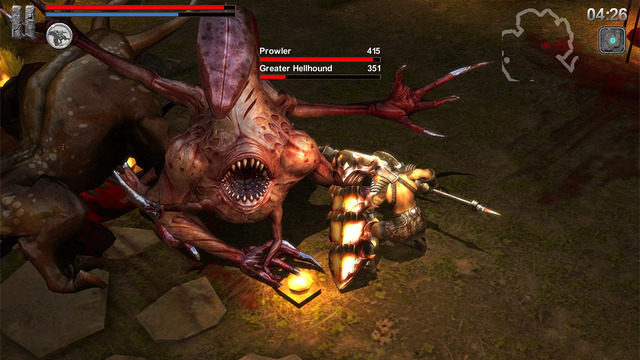 We are, indeed, excited to see a game of this nature finally come to our mobile devices. This game tests your patience first and your strategic planning second. If you think you can survive gigantic bosses that look sinister beyond the eerie and daunting, then this is your ultimate challenge. Ire: Blood Memory is a poetic Action-RPG game that has incorporated many elements from Dark Souls, a much beloved console legend that has been described as one of the most difficult games ever created. When you play Ire: Blood Memory you will experience the difficulty of this game starting from the first chapter where you face an odious, giant creature that will roast you to death (Bragging rights to whoever kills that titan). What is appealing about this game is that you get to fight large monsters without having to go through tens of minions, which can be a waste of time for many people. 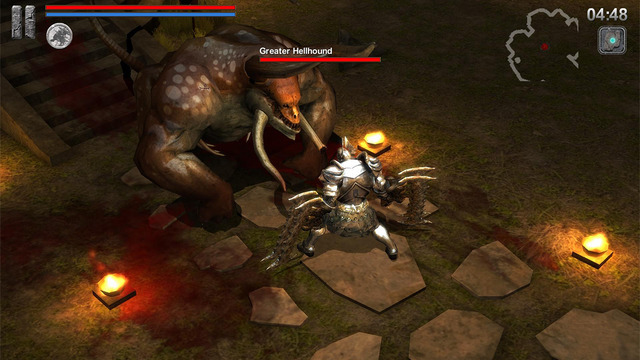 The developers made sure that you get your face off with undefeated demons within the first 2 minutes of each level. This gets you excited and interested because the fights are challenging and graphically gorgeous. In-app purchases do exist in this game but you will rarely need to purchase anything unless you want to customize, we never felt that we needed to purchase anything throughout the game so the developers were merciful in this department. The game is extremely rich in customization – from weaponry to shields and much more accessories that can be acquired. In addition, you have an in-game recording system which allows you to record gameplays and directly upload to your Youtube channel – this will make many, who were not able to record before, very happy. The game has a desolated, dark theme which lures you into the world of Ire: Blood Memory. The story behind it is vague and short but looks as if it was pulled out straight from a poetry book. Nevertheless, the allure of its story stands out and gives you a feeling that you are fighting for a world that has been doomed and you are its only redeemer. Moreover, the gloomy-horror music in the background builds a great thrill for boss battles and the game sound effects are synchronized with genuine genius – both important supplements necessary to give life to the dark theme that the developers wanted the game to portray. The game is made up of 5 Chapters – each chapter with different amounts of levels. Every level has a 5 difficulty system and every time you complete a level you can replay the level with greater difficulty. For example, if you beat level 1 at the first difficulty mode (Denial) then you unlock the next difficulty (Anger) for this level which is harder and much more frustrating. You do not have to beat all the difficulty modes to progress to the next level of the chapter. Perhaps one of the reasons the game is difficult is because the AI characters in this game are quite confrontational and smart. Also, you are able to add friends and summon their character to aid you in battle, which is all brilliant and fun, but unfortunately there is no live co-op mode yet. The control mechanics are very fluid and register instantaneously. We found the combat system very well designed for a difficult game like this one but we hoped that it would have been possible to customize controls HUD, especially because there are so many controls. Thus, we think it is best played on a tablet due to the excessive amount of controls but this does not mean that you cannot equally enjoy it on your phone as well. However, the game is compatible with MFi controllers so this is great news. It is the enhanced graphics that stand out most in this game really. It has numerous, special effects such as: Bloom, Light, Shadow, Anisotropy, Fog and Gore. All of these boost your screen with outstanding effects but on the price of device performance. So if your device is not the latest & greatest and don’t want to experience any lag, you have the option of cancelling any graphics effects of your choice. In addition, the game supports realistic physics destruction where objects in the environment are destructible when attacked. Finally, Ire: Blood Memory is a game that was needed on mobile devices to complete the process of evolution towards console gaming. 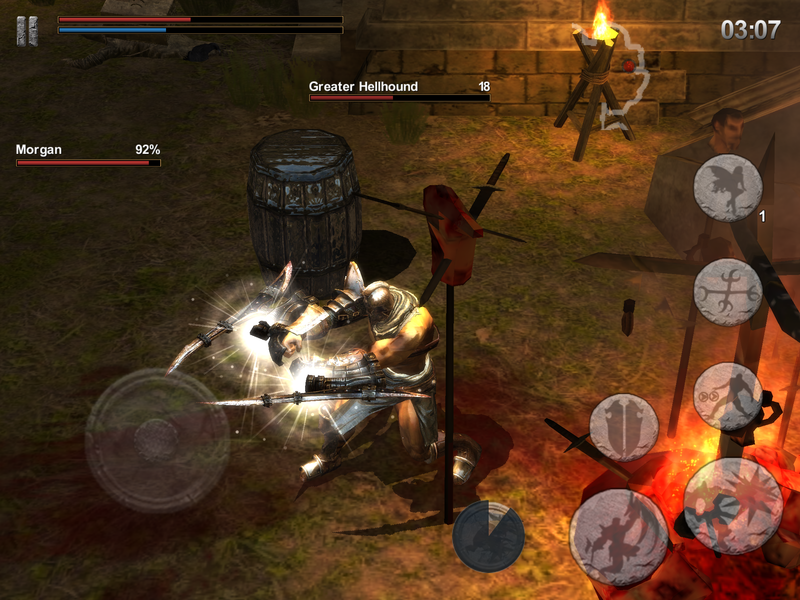 This is Dark Souls mobilized and reinvented for mobile gamers to experience a game that is based on difficulty. With its strategic gameplay, uncanny story, barbarous difficulty and vibrant graphics, this game ticks all the boxes for a console-like title. If you want to see the strangest of bosses and the largest of titans on your screen then this game is the way to go for you. Also, by clicking here you can listen to our interview with the CEO of Tenbirds Corp. where we discuss the game on The DN Show. Thanks to the Darkest Nation channel, you can watch a short gameplay of Ire: Blood Memory below. Keep them coming!! Thanks DN reviews!